Senators push CEO to change her mind — with no luck. 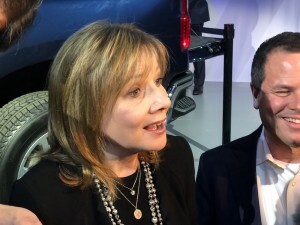 General Motors CEO Mary Barra said no changes would be made to the closures of five U.S. plants. General Motors Chairman and CEO Mary Barra completed two days of tense discussions with politicians in areas affected by the company’s recently announced plans to close five plants and displace thousands of workers. Barra’s message was that these decisions were not made lightly and that the company would find jobs for many of the displaced workers, but ultimately they were made due to shifts in the buying habits of Americans. “We had really productive discussions, and I think they have a better understanding of what we’re doing and why, and how we’re making sure that we’re supporting the displaced workers, especially at the plants that are impacted, ” she said after meeting with Michigan politicians, the Detroit News reported. The politicians from Ohio, Maryland and Michigan had hopes of changing Barra’s mind about the moves, which were approved by the GM board right before Thanksgiving. However, they noted while she was sympathetic, she had no plans to undo any of the choices made. Ohio Sens. Sherrod Brown and Rob Portman met with Barra on Wednesday, hoping to change her mind, but only got a commitment to try to expedite negotiations with the United Auto Workers union on the future of the company’s recented “unallocated” plants, including the Lordstown Assembly plant in northeast Ohio. 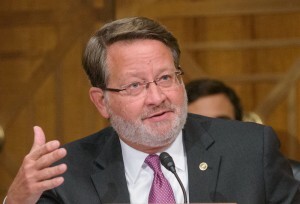 Michigan Senator Gary Peters slammed General Motors for producing the new Chevy Blazer in Mexico rather than the U.S.
Brown was more strident in his expectations from Barra and GM, pointing out that there plenty of new products coming in the near future and the Lordstown, Ohio plant would be a good start, especially in lieu of the financial help the company received from the government. “Are they going to bring an electric vehicle? Are they going to retool their plant and maybe look at one of their SUVs moving into this plant? They can do that. They’ve been the beneficiary of a tax bill that has produced some dollars for them to reinvest. Some of it is stock buybacks, but a lot of it can go to reinvesting in this plant,” said Brown, who is rumored to be a presidential candidate for 2020. 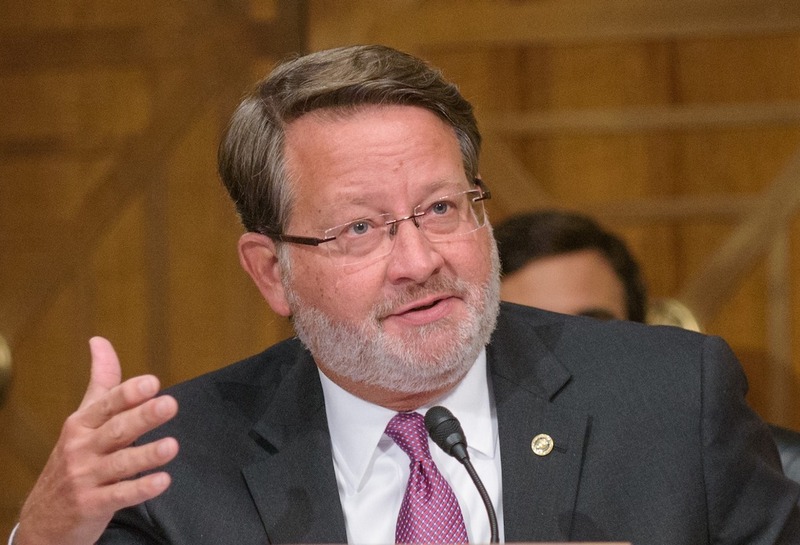 However, Brown wasn’t the only Senator looking to make a case for his state for future products, but Michigan Senator Gary Peters is upset that a recent high-profile product, the new Blazer went to Mexico instead of the U.S.
Barra reminded Peters of the long-term nature of decisions made by automakers. She noted that since then new products have been designated for plants in Kansas, Tennessee, Indiana and Michigan. Barra also added in a statement that employees who don’t move to new jobs within the company are being offered outplacement assistance to find new jobs. This entry was posted on Friday, December 7th, 2018 at and is filed under Automakers, Automobiles, Buick, Business, Cadillac, Chevrolet, Earnings, Executives, GM, GMC, Markets, Personalities, Politicians, Sales, Sales, Trends, U.S./North America. You can follow any responses to this entry through the RSS 2.0 feed. Both comments and pings are currently closed.